Russell Charles Klein, MD passed away on Sunday, September 2, 2018 of complications of meningitis. He was born on May 30, 1935 and was a native New Orleanian. He was predeceased by his parents, Edward J. Klein Sr and Hattie Bares Klein, and his brother John Bares Klein, MD, all of New Orleans. He is survived by his wife of 43 years, Donna Guinn Klein, his brother Edward J. Klein, Jr., and his children Steven David Klein, Robin Irene Klein, and his beloved rescue dog, Jessie. He is also survived by his sister-in-law, Margaret Scott (Greg) and loving nieces and nephews and a multitude of friends and colleagues. He was a graduate of Jesuit High School, Loyola University and received his medical degree from LSU School of Medicine in New Orleans in 1959. He did his residency training at Charity Hospital and completed a pulmonary fellowship at Harvard Medical School and the Massachusetts General Hospital in Boston. He served our country as a medical officer in the United States Army (Honorable Discharge) in Germany from 1961-63. Dr. Klein joined the LSU School of Medicine faculty in 1967 and served in many roles there, including Associate Dean of Alumni Affairs and Development, retiring as Emeritus Professor in 2010. His distinguished career included many professional positions including Director of Respiratory Therapy and the Medical Intensive Care unit at Charity Hospital. 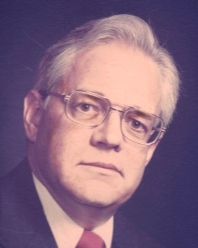 He was active in organized medicine, serving in leadership roles in the Orleans Parish Medical Society and as President of the Louisiana State Medical Society. In 2009 the LSU Board of Supervisors on the recommendation of the Chancellor, named the Center for Advanced Practice Simulation Center at the School of Medicine the Russell C. Klein MD (’59) Center for Advanced Practice. He was actively involved in the Alpha Omega Alpha Medical Honor Society, the American College of Chest Physician and the Association of American Colleges Group on Institutional Advancement.